This suit offers incredible comfort and flexibility at a great price for a full 3mm wetsuit. 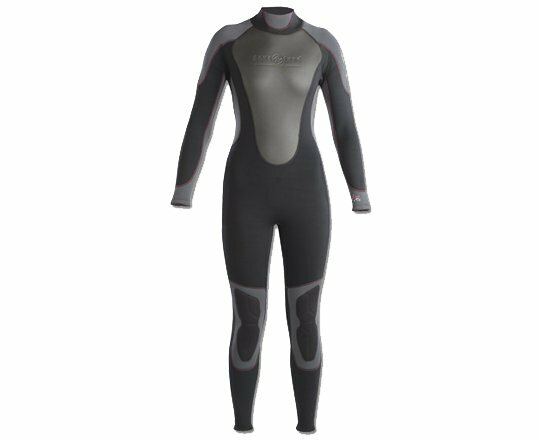 This is our most popular wetsuit for diving in warm water or for someone wanting to use as an open water swim suit. Height 5'-5’2” 5’2”-5’4” 5’4”-5’6” 5’5”-5’7" 5’6”-5’8" 5’8”-5’10" 5’9”-5’11"
Weight 110-110 lbs. 105-115 lbs. 115-125 lbs. 125-135 lbs. 135-145 lbs. 145-155 lbs. 155-165 lbs.